Welcome back to The Craft, everyone! 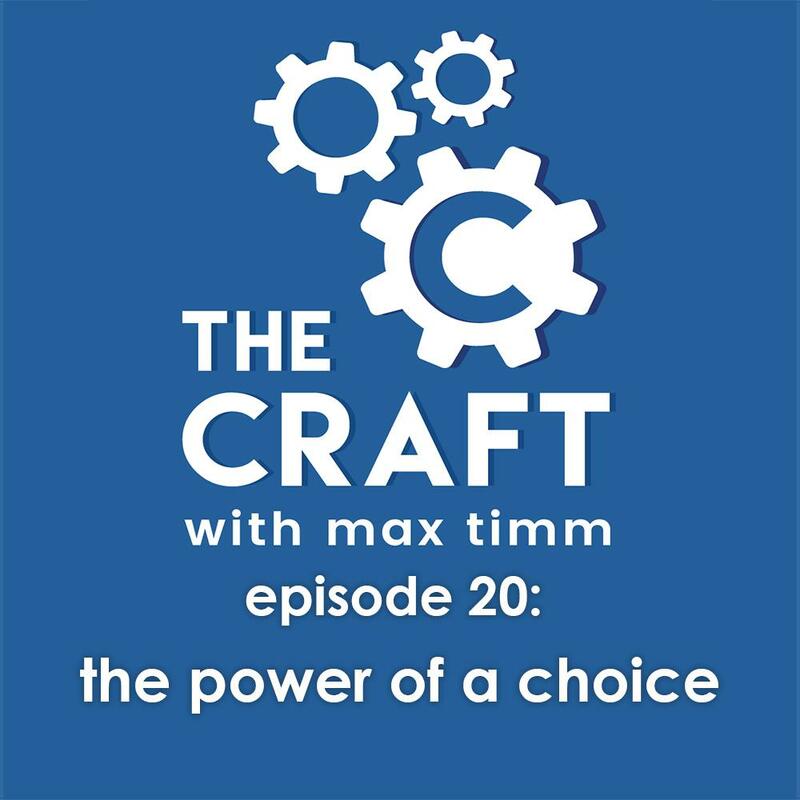 My name's Max and folks, we're on episode 20 of this podcast! I'll be honest - I never expected to go much further than 12 episodes since my initial inkling when I considered hosting a solo podcast was to just cover the process of sequential writing. 12 sequences, 12 episodes. But this has evolved into something pretty fun, and it seems that you actually enjoy listening to me ramble on and on. Most of my friends get glassy eyes when I start rambling, which, I suppose, I don't blame them. I'm a talker and usually say more than necessary. But what I've noticed about this podcast series is that it has kind of turned into a bit of an audio diary for myself, because as most solo podcasts go, I'm just sitting here talking into a microphone with no one else around. And most of the time, I just have a basic concept or theme I want to touch upon and suddenly, boom, I have a 15-minute podcast episode. I usually surprise even myself that I have so much to say about the craft of writing.